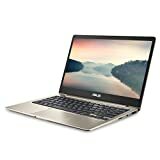 Home / Reviews / Which Is The Best Laptop For Personal Trainers? Looking for a new laptop to help organise your life and manage clients better? Well we got the tech experts from our IT department to help us find what the best laptop for personal trainers are. When it comes to looking for a laptop for your personal training business you will need to consider a few things. 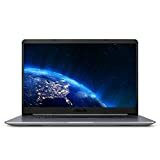 These include things like how fast a laptop is, how much storage does it have, can it multitask efficiently, what size you would like and what the budget is. We have tried to provide the best laptops at various price points so you can see what options you have. Obviously we would like to have the fastest PC available but keep in mind that the higher performance laptops also carry a higher price tag. When referring to how fast a laptop is we will generally talk about what model of CPU it has, amount of RAM and whether the computer has a mechanical hard drive or solid state. You will want to look for a laptop that features an i5 processor and at least 4gb of RAM. This will ensure that you are able to run most software efficiently. You would also see more speed if you chose a laptop with a solid state drive. This will mostly be down to personal preference. If you are looking for something more portable you will maybe look for a 13inch laptop and if you were looking for something with more screen real-estate to work more efficiently you'd go with a 17inch. In the middle is the 15inch laptop which tries to incorporate both ideas. Ultimately the choice is up to you. The following laptops are ranked from highest price to lowest. They will all provide decent performance. #1 - Apple MacBook Pro 13"
The perfect combination of performance and size. This MacBook Pro will allow you to run most software pretty fast and allow you to manage clients with ease. If you are into vlogging your fitness, you will also be able to do video editing and exporting. This MacBook is only 13 inch which means its ultra portable. In terms of specs you're looking at the intel i5 processor, 8gb of RAM and a 256gb ultra fast ssd. This laptop will be good if you are already a part of the Apple ecosystem as you will be able to sync your devices together easily. If you aren't a fan of Apple and would prefer to go with Windows instead then this is a solid alternative. It features a similar design and weight, with the same sort of specs. In this laptop you will an i5 processor, 8gb of RAM and a fast 256gb ssd. You can expect the same type of performance as the MacBook Pro above but at a better price point. Next on our list is something a little bit different, here we have a 2 in 1 convertible laptop that can act as a tablet as it has a touch screen too. This can be helpful when working on the gym floor and taking down notes. In terms of specs you are looking at a 15inch touchscreen, an i5 processor, 12gb of RAM, a 256gb SSD. Next on our list we got the Acer Aspire E 15, this laptop is more of a budget orientated laptop but that doesn't mean the specs are terrible. In fact, this laptop features a core i5 processor, 8gb of RAM, a 256gb SSD and features a dedicated graphics card. The dedicated graphics card will help you render videos faster if you are planning to upload exercise tutorials on YouTube for example. Last on our list is the Asus VivoBook F510UA. This laptop is the cheapest on our list but still offers decent looks and performance. Inside this laptop you will find an i5 processor, 8gb of RAM, and a 1tb HDD. Unfortunately this laptop will not be the fastest, but you can upgrade the HDD to an SSD later down the road which will improve performance quite a bit. In terms of size, this laptop is around 15.6 inches and weighs 3.7lbs. Hopefully you have a better idea of what to look for when choosing a good laptop for your personal training business. The laptops on our list will definitely provide the performance you are looking for, so you can pick one that you like the most. If budget isn't an issue i would recommend going with the MacBook Pro, otherwise the Acer spin 7 is a good practical option.